Denver, Colo. (Feb. 12, 2019) – Effective Jan. 1, 2019, Colorado workers’ compensation attorney Stephanie Tucker became a non-equity Member Attorney of The Babcock Law Firm. Stephanie’s passion for practicing law was ignited back in undergrad, while working for the U.S. Attorney’s Office in the Southern District of Iowa. In this environment, she had the opportunity to sit in on federal trials and work one-on-one with attorneys, and in doing so, she quickly realized that law school was in her future. In 2012, after graduating in the top third of her class from Drake University Law School, she left Iowa and moved out to Colorado, where she teamed up with The Babcock Law Firm as an Associate Attorney. Now as a Member Attorney, Stephanie continues to build her resume and reputation as a top-rated Colorado workers’ compensation attorney. Stephanie also recently joined the Workers’ Injury Law and Advocacy Group (WILG) as a new board member in October 2018. Visit https://www.injurylawcolorado.com/ to learn how representation works or to discuss your case details. To learn more about Stephanie Tucker, visit her attorney profile on the website. 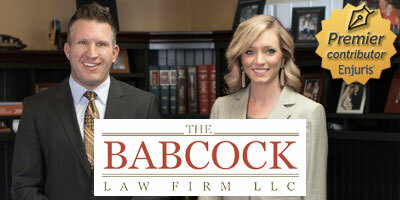 Serving Denver, Littleton, Aurora and the state of Colorado, The Babcock Law Firm is firmly committed to standing for justice and protecting injured individuals from modern day bullies like corporate America and insurance carriers. Founder R. Mack Babcock and associates aid injured parties in all kinds of legal matters, from work-related injuries and insurance disputes to car accidents and other personal injury cases.